SACRAMENTO, Calif. – Sacramento Republic FC have agreed to a contract with Sammy Ochoa for the 2017 USL season, pending league and federation approval. Ochoa was the leading scorer for Tulsa Roughnecks FC in each of the last two seasons. Ochoa has been an offensive force since coming into the USL in 2014. Ochoa led Wilmington Hammerheads FC in 2014 in goals and assists, scoring six goals and adding five assists in 25 appearances. Ochoa then moved to Tulsa Roughnecks FC where he led the club in scoring in both 2015 and 2016, scoring a combined 20 goals, adding nine assists. Ochoa broke into professional soccer in 2006, playing with Mexican club Estudiantes Tecos before joining Seattle Sounders FC in 2011. The forward appeared in 17 MLS matches between 2011 and 2013, scoring three goals and adding an assist. Ochoa also made three playoff appearances with Sounders FC. Republic FC will be in action again when they travel to San Jose to take on their Northern California rivals the San Jose Earthquakes on Saturday, Feb. 25. Kickoff is 2 p.m. The match will not be streamed, but updates will be available via Twitter @SacRepublicFC or using #SJvSAC. 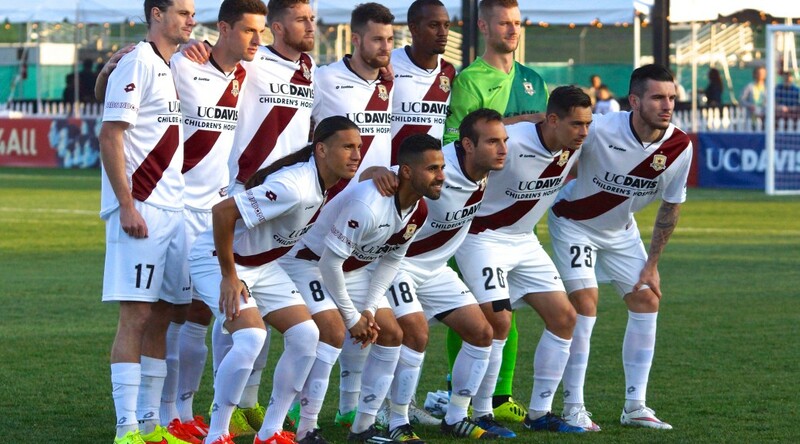 Republic FC will return home on Mar. 4 when they take on FC Cincinnati at Bonney Field. Tickets for both the FC Cincinnati and Earthquakes matches are available at Ticketmaster.com.